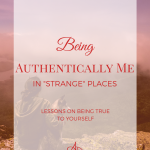 Many times we feel like we are alone because of geography, isolating work, or other boundaries. 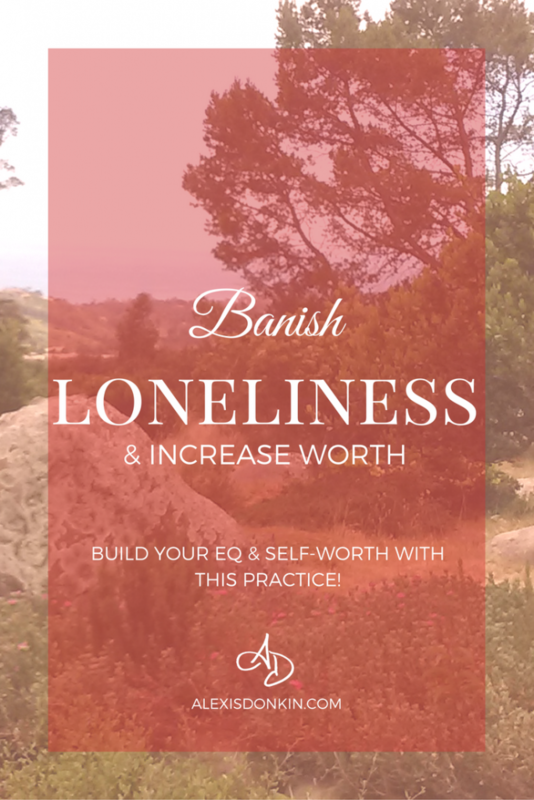 In this post I will help you banish loneliness by share reminders how you are connected, increase your worth, and how you can use meditation to see your connections. If all you do is look with your physical eyes, it is easy to think you’re alone. Right now, for instance, I’m physically sitting in an office, with physical doors closing me off from the world. If all I did was consider this, then yes, I would think I was alone. But life isn’t just about walls and doors. Life is more complicated than that. In the physical, just beyond the wall, my son plays. Wonderful people guide younger people through a crucial moment in childhood. Just down the street is another school, filled with students and staff. A little further on is a shopping area that has so many people going about their daily tasks. The world is full of people. And even if I interacted with none of those people, there is this marvelous machine sitting on my lap bursting with invisible connections. I barely go a day without talking to several of my colleagues, friends, and clients across wireless signals. And these are the ones everyone can see and understand. But those are not the only connections there are. 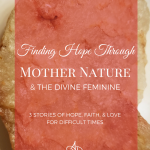 When my husband lost his job during my seventh month of my first pregnancy, we had no idea what we would do. We called our parents and thought they were the only people who would help us. There were people I had NO previous connection to who offered prayers and gifts. People from across the country and the world came to our aid. There was a church community who came to our rescue with dinners for nearly two months time. We had THREE baby showers. THREE. We were SHOWERED in gifts. We had so many baby clothes, my son wore some outfits only once, and that courtesy of a diaper blowout (otherwise some pieces may have never made it on him!). We had no idea how many lives we touched, and hearts that carried love for us inside them. I don’t think we are unique. I think this is true for everyone – that people will support you no matter what. People care about what happens to you. Sometimes you may need to ask for help or share your story so it is known, but you’re not alone. People DO care. You’re never alone – even if there is no one around you. 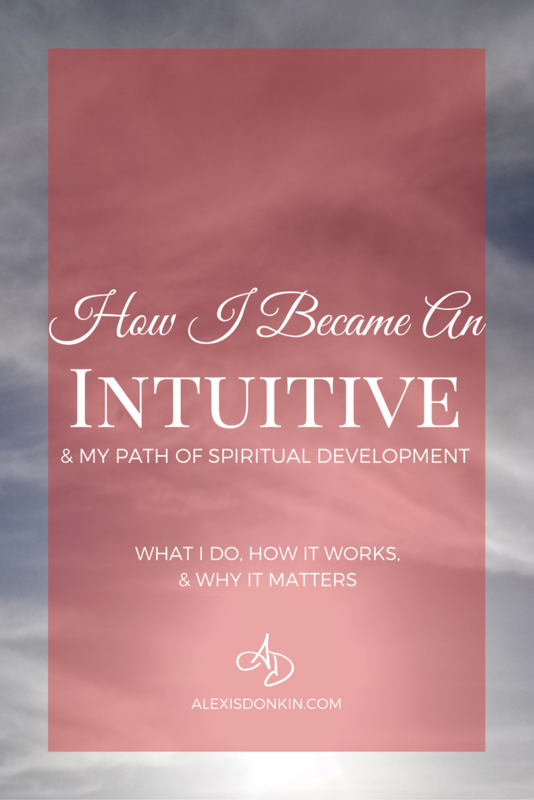 I mentioned this in my intuitive journey, but it is important to repeat it here when talking about being connected. Even now as I sit in an office, apparently by myself, I am not alone. Should you sit in your bedroom with no other person present, you’re not alone either. There is always at least one angel following every single person. Really. I didn’t believe it until I saw it (I’ll be the first to admit my doubt) but it’s true. Every single person has an angel following them around, loving them for the sake of loving them. When I saw the angel sitting at my son’s head one night, fluttering and glowing, I can’t tell you how peaceful and joyful it made me feel. Knowing that someone was with my son no matter what – all the time, helping him and sending him love, was such a reassurance. A lot of people are familiar with the idea of angels being around. Many people are comfortable with the idea of a guardian angel, but the reality is, there are more than just angels surrounding you. For a second, let’s assume that you are important (this is easy to assume because you ARE!). If you are important, and intended to be here as you are in this world, it would make sense for the Universe to protect it’s investment in time and energy. How does the Universe do this? By making sure you’re not alone! Not only do you get your own personal angel, but you also get a whole spiritual team rooting for you and cheering you on. Any time you need help, all you need to do is ask and these spirit guides will come to your aid. It’s their purpose! Let them fulfill it! Yes there are people everywhere and countless of them care about you. Yes you have other beings watching out for you. But that isn’t the end of it, and this is where meditation makes a real difference. Just as a community of people is deeply connected, so is every single thing on the planet, from a grain of sand, to an iceberg, from a spore of mold to a Sequoia tree. And they are connected to each person. This is something discussed in Hinduism and Buddhism (and can be read about in texts such as the Vedas) – everything is connected and that physical boundaries are artificial or illusion. A good way to begin to think about it is like the body – the body is a whole, made up of trillions of pieces. Cells upon cells go about, singularly, completing tasks. Each piece is highly specialized. Each cell when taken alone seems insignificant. But each cell works in concert with others to create systems and those systems do amazing things (like repairing injury, creating a whole other human being, fighting off viruses, and many other AMAZING things!). These cells appear separate with physical boundaries observable under a microscope, but they are also pieces to a larger whole. And generally when we talk about a body, we don’t talk about cells. We talk about the body. What’s the big deal about seeing all these connections? It has a few important benefits for the community and also for you. When you see how you’re connected, you start to consider the impact of your actions. Your empathy increases. You consider what would happen when you make choice A versus choice B. You get intentional. Getting intentional is important because it helps you live your principles in everything you do. When you do that, you can focus on things like the highest good for all, and that sends ripples across experience. When I say something nice to someone, it makes them feel good. When they feel good, they are more likely to do nice things for other people, and so on. That is the kind of chain reaction that changes the world! Though we may never know how a single kind act influences things, it most definitely does. It also has positive benefits for you. When you act with someone else’s highest good in mind, you feel like you are contributing to the community (an emotional need of all people), and you build your self-worth by consistently practicing your principles in daily life. For these reasons it is important to see connections to help you practice more empathy and intention throughout your life. Sit or lie down in a comfortable position and close your eyes. See your body filled with white light. Begin to notice other cords of light connected to you, going out in different directions. See them reaching other bodies of light – and recognize they are people and creatures across the earth. See a network of light encompassing the world. Take a few moments to enjoy the connections. When you’re ready, gently come back to the room and open your eyes. 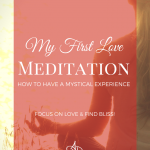 Let me know how this meditation works for you (it’s one I personally love!)! Sending love and light your way! 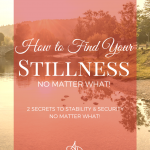 Want to find out how to connect better with your spiritual team! 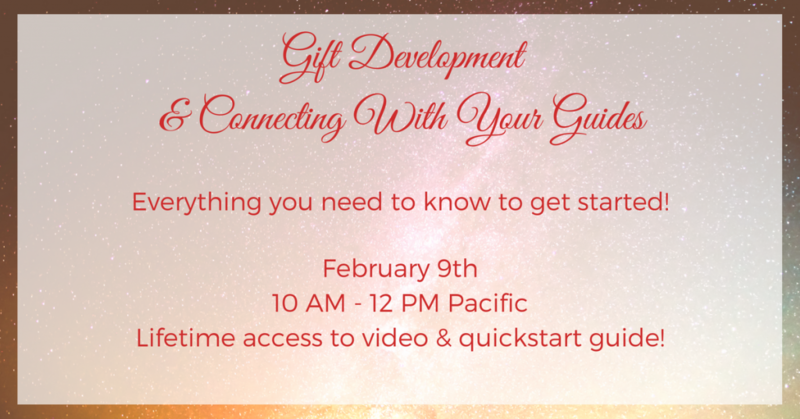 Join me for this awesome workshop! Click the picture to find out more!